Sam's handmade cards: Times gone by. 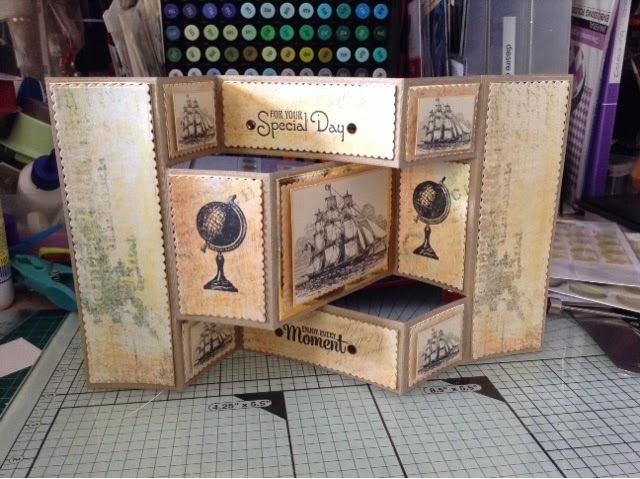 Well I very nearly didn't buy this set, but I fell in love with it as soon as it was demonstrated on create & craft. I printed the backing paper, and ships from the cd rom. The gems were clear and I coloured them with my EB7 spectrum noir pen.